In this English lesson you will learn about using Emphasizing Adjectives in English. We use this type of adjective to show strong feelings and we use an adjective - noun combination. absolute, complete, outright, pure, real, total, true, and utter. Let's have a look at some example sentences. I like some of his songs but most are complete rubbish if you ask me. Eating an ice-cream cone on a hot day is pure bliss. I don't agree with his political views. In fact, I think he speaks utter nonsense most of the time. Many immigrants are treated with outright disdain in many European countries. Jenny hates John, She thinks he is a complete moron and wouldn't be seen dead with him. The contents of the document must be treated with absolute secrecy. So there you go. Those are some examples of how we use empasizing adjectives in English to show strong feelings. Want to study another grammar lesson? Take a look at this one. 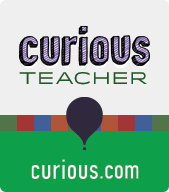 I also have some English courses available at curious.com. Please check them out.